I'm not sure what skin type you have, but Dr. Patricia Wexler products have worked well for me. I have combination skin with a goal of wrinkle reduction and prevention. These products are cruelty free and sold in some Bath & Body works and online through that store, Amazon.com, Vitacost and others. My skin has never felt better. I am replacing all my personal care and home care products with cruelty free versions and this has been a great find. I am now using their eye cream, MMIP cream, moisturizer, night cream and cleanser. Also, Shiseido and Jane Iredale are cruelty free and I've heard good things about them, but have not used them myself. I have combination. I can definitely check them out. Should I get the products now, or can I wait until I start to run low? Paula's choice is not cruelty free. They do not test but they do use some animal derived produces including milk. The Dairy industry is one of the most cruel. There are great products that use no animal ingredients, do not test or authorize third party tests or sell in China where testing is required of some ingredients. Make kind choices. It is easy when it comes to cosmetics. Paula's Choice is just not one of them. Best Moisturizer For Dry Skin - Soften rough and chapped skin of hands, feet and entire body staring from the first application of Elmore Glycerin Cream. I was an Origins enthusiast for years and was very disappointed when the company forwent their value and started shipping to China. I made the switch to Acure which is sold at Whole Foods or at acure.com. I actually prefer this product over Origins which very much surprised me. 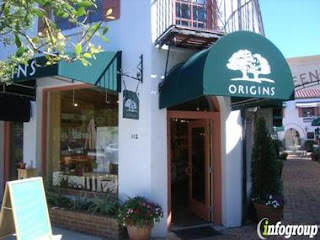 It's all organic, cruelty-free, and priced more moderately than Origins. I use their skincare and haircare products and love them all. Love this, so we are in march 2014, origins, mac and Bobbie brown are still testing on animals? I am getting really tired of all of the products out there STILL doing animal testing. I am on a total product cleanse trying to make sure I don't purchase anything from a company that does animal testing. This doesn't have to happen..and that companies like Origins try and justify ....shame on you! I thought Originals was animal cruelty free and I was wrong. Another loophole companies use to skirt the issue is they don't use suppliers that don't rest on animals. This way they can espouse how great they are bc they are cruelty free, but really aren't if suppliers are testing products before they get to them. Was looking to change to origins but just read this so thanks for putting it out there. My sister recently started using Aesop and I think I'd rather give them a go! Deseperate to make 100% sure products I buy are cruelty free...it's not easy in terms of doing research and finding information...this is shameful especially in today's day and age. Beyond Sick of capitalism driving animal tested products. I know. Origins is still the best, I think. But I can't in good conscience use those products. Which is a shame. It's especially hard to do, being 100% cruelty-free. For instance, if you need prescription medications, it's pretty much impossible. And sadly I do. But I do my part, where I can. I am in the same dilemma. My bad for not realizing sooner that origins had modified their no animal testing message. Some good suggestions here - thanks! I'm curious to hear that Aesop is cruelty-free. Last time I went to buy something from their store the salesperson could not say they were... E.g. they use badger hair for the shaving brushes... from China. The badgers might be shot in the wild, or worse, farmed. I was also really disappointed to find out that they use VANILLIN not VANILLA for aroma in their products! Talk about cheaping out for a product that costs $100! I have been an Origins fan for years, but will now start switching. Great discussion! I was an Origins user for year until they changed to selling in China. I've tried tons of other brands that are Cruelty Free, but sadly I have not found an eye cream as great as GinZing, but I don't, haven't and won't purchased this since they started selling in China!